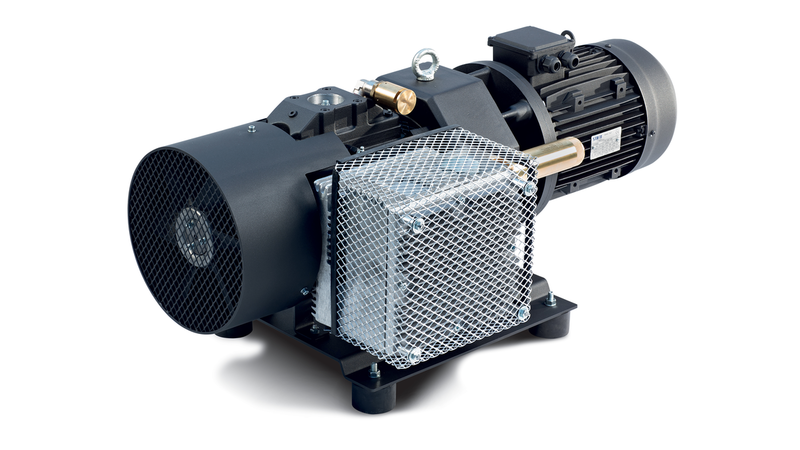 Oil-free dry vacuum pumps belonging to the DR series are blade rotary types with rotor supported by bearings, flanged motor and air cooling, suitable to operate without any lubrication. Their main features are heavy construction design, easy maintenance, absence of any oil fog on the discharge. The pumps can be used in any applications where no deep vacuum is required.